OpenRoads Designer Team Provides Software Training Workshop at BBI — Binkley & Barfield, Inc.
BBI welcomed the OpenRoads Designer team at Bentley, Inc. this week for an on-site, 3-day workshop that took place from February 4th through the 7th. 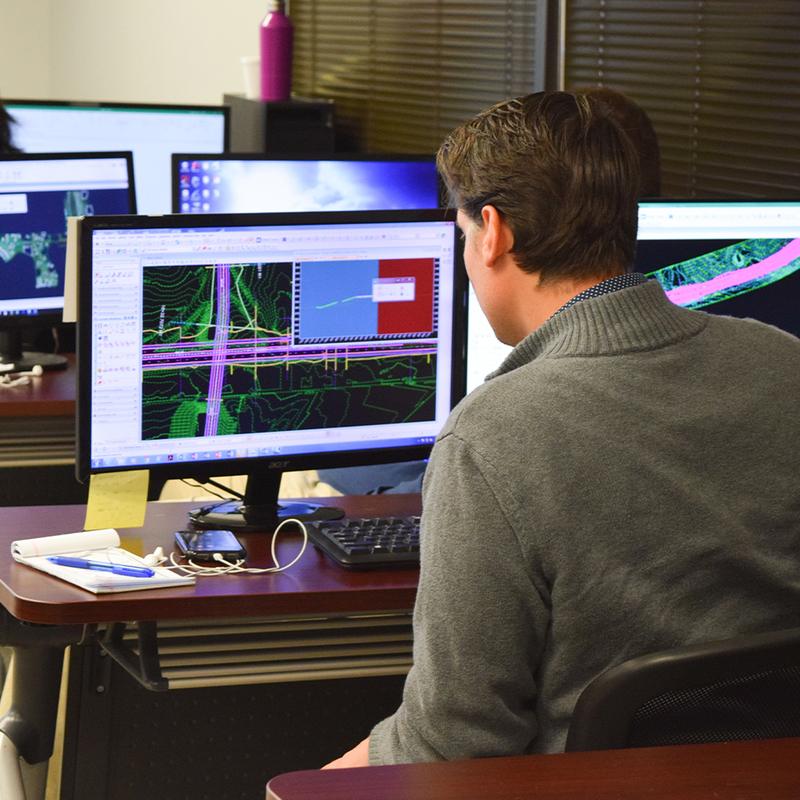 The workshop provided in-depth training for OpenRoads Designer software, a new and innovative tool that is being customized for use by TxDOT consultants. The training session took place at BBI’s Houston office, where 15 designers and engineers representing various offices and disciplines received instruction that would help prepare them to use OpenRoads Designer to meet the upcoming requirements of 3D modeling. Each employee was given 13 workbooks that covered this innovative software in great detail. OpenRoads Designer is a comprehensive, multi-discipline 3D modeling application that was created to advance the delivery of roadway projects from conceptual design through construction. OpenRoads Designer blends traditional engineering workflows for plan, profile, and cross sections with 3D parametric modeling to enable the model-centric creation of all design deliverables to our clients. The software supports all aspects of a detailed roadway design including survey, geotechnical, drainage, subsurface utilities, terrain, road, and roadway design. TxDOT and other clients will be requiring future deliverables that were created using OpenRoads Designer in 2019, and the BBI team will be ready. We are excited to be at the forefront of this new technology that will greatly improve project schedules and budgets as conceptual designs are transitioned directly into project deliverables. BBI is committed to the continual education of its employees on the latest technological advances being made for our industry.